If you're a Mom, a guardian or simply knows how rewarding yet at times chaotic motherhood/parenting is, you would agree with me when I say that sometimes, we need a little time for ourselves to regroup and re-align our priorities. If you're lucky, there are people who care enough about you and me to reward us with a much-needed "me" time. This is what SUN LIFE Philippines did for us at the recently held Mom's Day Out event at I'M Hotel, Makati. 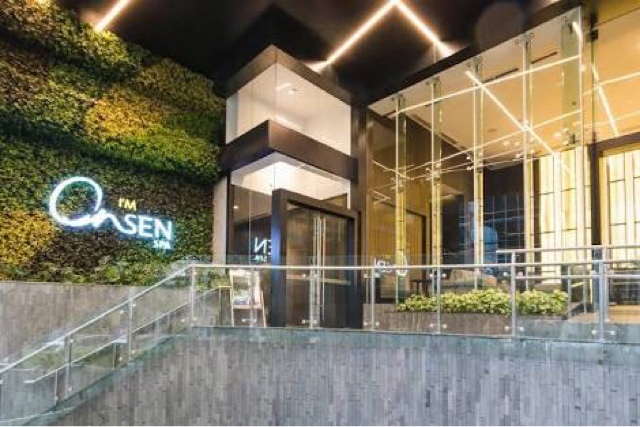 Mommies were treated to a sumptious buffet, luxurious spa treatment and a productive and educational talk from speakers who are experts in the field of psychology, parenting and finance. To me, the event aims to help Moms find balance amidst the busy, noisy yet rewarding life of a mom. We struggle to put on so many hats every single dat that it comes to a point where exhaustion, difficulty to focus and even ourselves become our worst enemy. SUN LIFE is trying to help us Moms find the balance. I am a solo mom of two. I have a 4-year old boy and a 10-months old baby girl who takes up most of my time each day. Add to that my responsibilities as a Barangay Official (Community Leader), a mommy blogger, online seller and so many other different responsibilities that I try with all my might to fulfill every single day. Not that I'm complaining, I love my life but yes, it takes too much out of me sometimes trying to tick off finished tasks my to-do list. With my babies Choichoi and Chaichai. But lately, I have started to notice that when I accomplish one aspect of my life, something seems to suffer that I end up even more stressed than when I started. 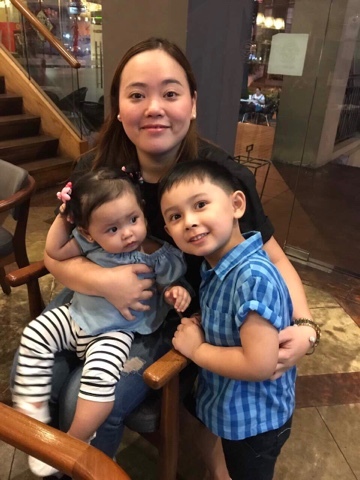 So it was really a blessing in disguise when Ms. Michelle Alignay, a Family Life Expert shared so many important things to remember at the Mom's Day Out event. 1st, it is important for us Moms to be conscious about ourselves. Not only physcially but importantly, inside. When you feel the internal knot. This is the time when we experience painful/hurtful infection because of an imbalanced life. So it is a must for a Mom to be conscious of the pressure and stress points in our bodies. 2nd, we have to learn to detach emotionally. There are things that don't merit a reaction from us. From my understanding, detaching emotionally means being able to identify which emotions are going to take a toll on our well-being. Staying stressed, upset or worried can be unhealthy. 3rd, Michelle made me remember something my former boss used to tell me, a person can only give their undivided focus on one or two things before everything becomes chaos. It is called the multi-tasking myth. 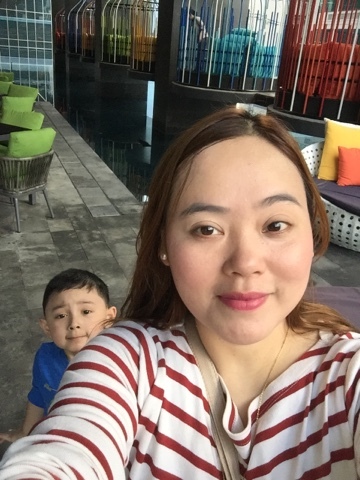 I realized, that the reason I am being ineffective towards my other tasks is because I try to be this wonder mom that I only focus on finishing something that I forget, a good, quality outcome is crucial too. I remember being so focused on my job and helping other people that I failed to notice that my then 3-year old boy was showing signs of temper tantrums when he doesn't get what he wants. He started sleeping so late, almost as late as I did because I had to squeeze in more take home tasks. This is where I consciously decided to have a finish line everyday. I make sure that by 9pm, I get what I can done and put the rest off for the next day. Prioritizing - that's what I ultimately learned from taking the time out to notice why I'm failing at things. Relaxing at the pool area of the hotel while waiting for the program to start. 4th, it is a must for Moms to take a break. There is nothing wrong with taking at least 10 minutes off your day to have rest, re-group and re-balance. Yes, it may. seem a short time for some, but for Moms, 10-minutes is a luxury. Nowadays, a nap, a movie on Netflix or even a little quiet time at the back of our house is considered me-time. This helps me remember my purpose and thankfully, I come back to my kids re-charged and refreshed. where they can get good education. 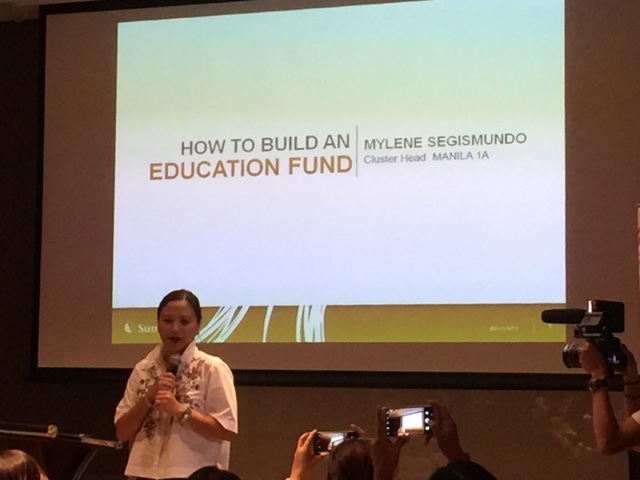 Did you know that for your to be able to send your child to the top-tier schools in the country is by saving at least 3.4M pesos? Yes, a whopping amount to look at but is achievable through the help of the many financial plans SUN LIFE has to offer. There are some regrets that would come to me from time to time. One of which is when I was a skeptic when it comes to financial planning. Had I start early, I would've had one worry off my back now. But then again, SUN LIFE teaches us that it is not to late to start. And to you my dear readers, the time is NOW. SUN LIFE Philippines recently launched a series of short films that aims to highlight everyday lives of ordinary people like you and me. 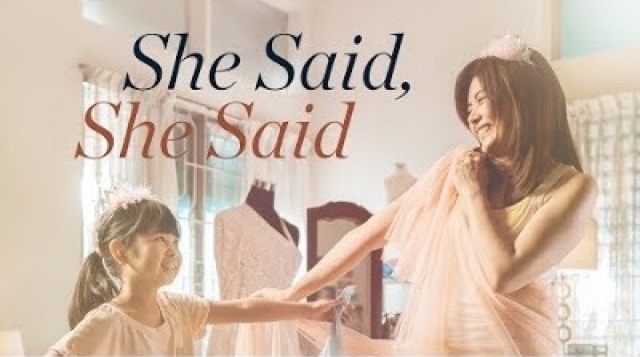 One of my favorites and heart-touching short film is She Said, She Said. The short film features a solo Mom who single-handedly raised her daughter and the many worries that a mother has to go through and how her daughter sees her as a mom. To those of you who is like me, who always asks, Am I Enough? This tear-jerker will make you realize that though for us, our best intentions can seem to be overlooked, to our children, those are the things they will always remember. Our presence, love and planning for their future will be enough for them to remember that we only want what's best for them. 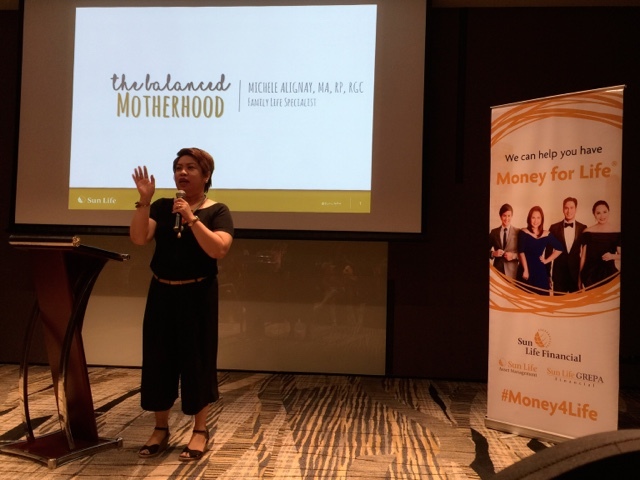 SUN LIFE Philippines declared June as Financial Independence Month and what would make motherhood even more rewarding? Being able to free yourself from the financial worries and have the future all-set for your kids. SUN LIFE will still hold more Mom's Day Out for Mommies like you and me this coming July. If you want to have an unforgettable Mommy-time and gain more financial know-hows, join us on July 1st AND July 15th. 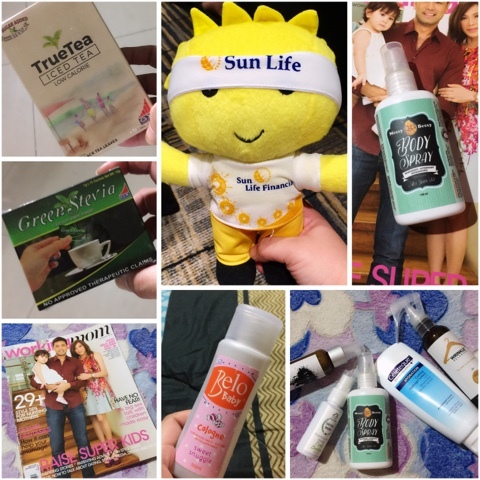 Loot from the SUN LIFE event partners. So Mommies, take the time out to re-focus, re-group and re-balance! 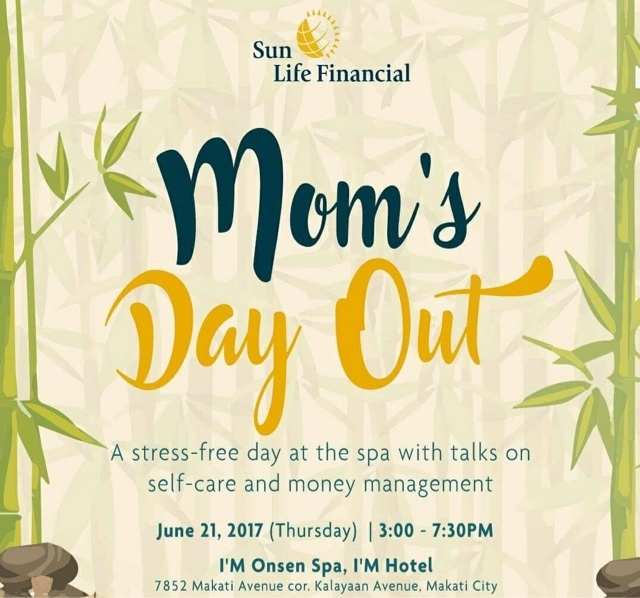 Join the SUN LIFE Mom's Day Out event. "We worry about who we will be tomorrow...we forget we are someone today."